WRUV-FM is in the running this week to be named the world’s top college radio station–at least by one measure. Whether they get the title will depend on how many of their listeners tune into Soundtap.com, which is sponsoring the competition. Results will be in Thursday, when the online college radio service Soundtap ends its Soundtap Madness tournament, which pits 64 college stations against one another in a friendly competition to see which of them can log the most online airplay from mid-March to early April—not coincidentally the same time that 68 college basketball teams have been playing to win the NCAA’s national basketball championship. 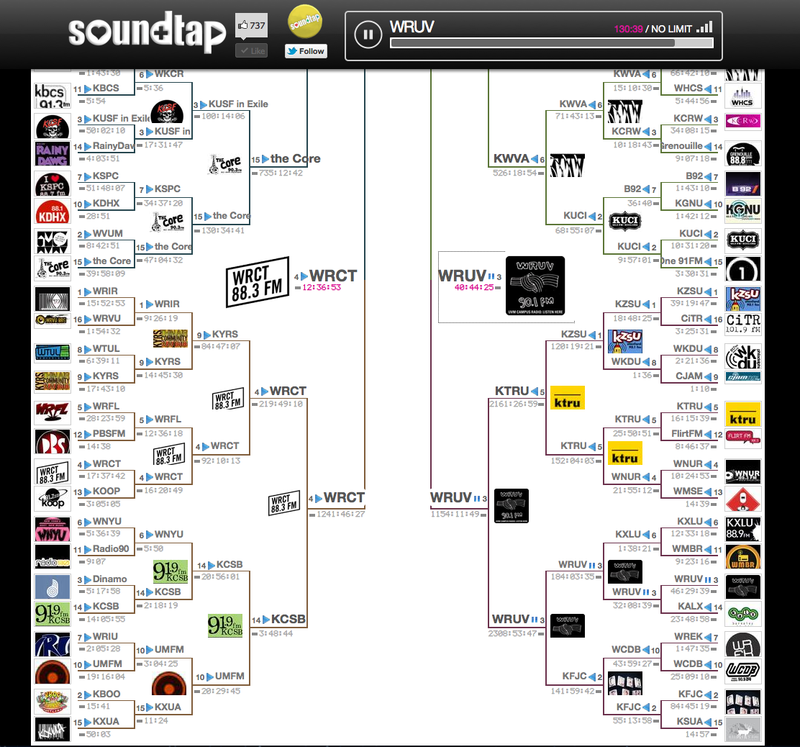 WRUV started off as a 3-seed, with positions presumably designated by the amount of airplay that each station has previously received on Soundtap. Since then, it has been competing with college stations from across the country. As of press time, it’s locked in a dead heat with WRCT of Carnegie Mellon in Pittsburg. The winner will be the station with the most listeners at Soundtap.com through 3 a.m. Wednesday.